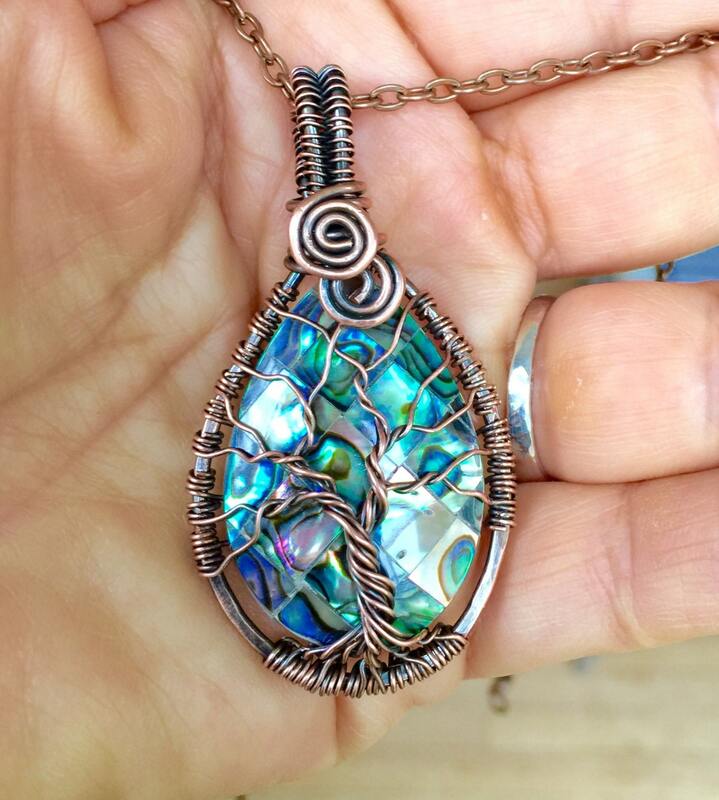 This beautiful Rainbow Abalone is wire wrapped with natural/genuine copper wires. The pendant has been antiqued, hammered & forged to give strength & texture to bring out the stunning details of the finished pendant. 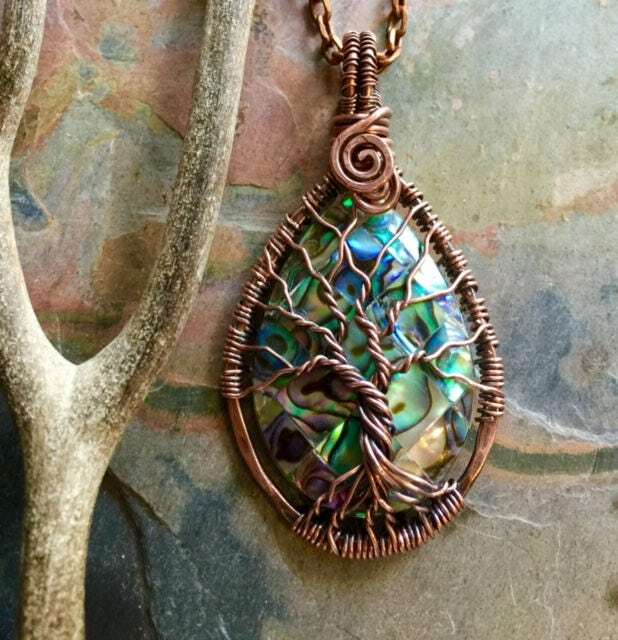 This is the smaller size version abalone tree of life pendant necklace. 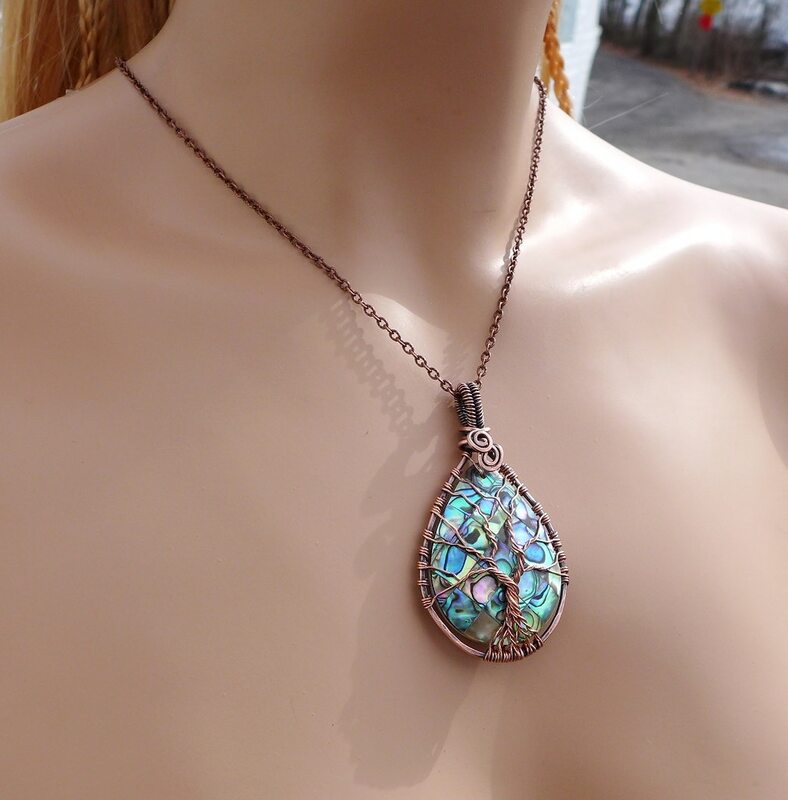 This abalone pendant is slightly larger than my Petite/small size pendant. 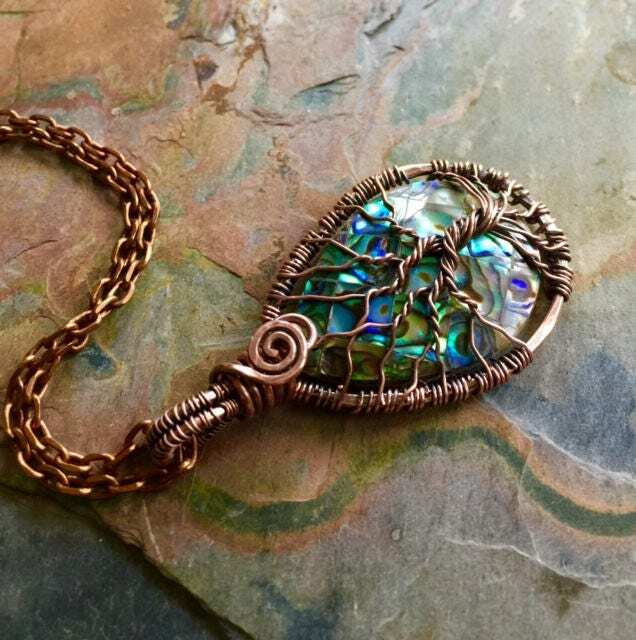 This pendant is GORGEOUS. 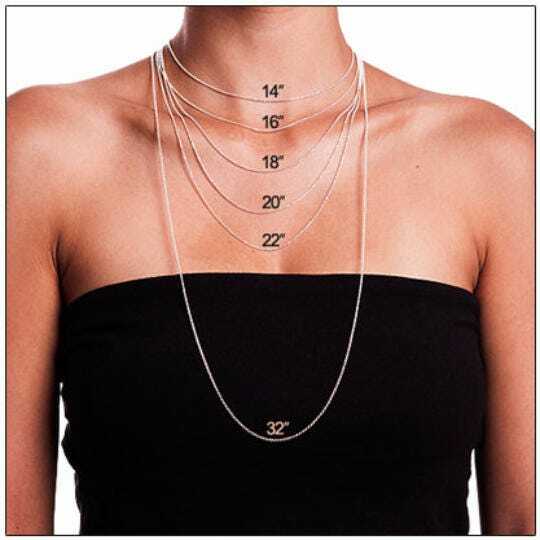 I got it for my boyfriend for a Valentine's day gift, but now I'm considering ordering one for myself! So pleased with this product. He is going to love it!!!! Absolutely gorgeous and absolutely perfect. Boyfriends mother loves and says she gets lots of compliments! Shipping was great thank you!